I plan to use your Advanced 2 Marathon program to break 2:40 at the Rotterdam Marathon next spring. I ran 2:41 in that race this year doing 80 to 90 miles a week. I notice your plan doesn’t get near these miles. Do you think I could achieve my goal if I stick to your plan, or should I introduce a little more mileage? I must add that I’m very prone to injury and, as a result, missed out on Berlin last month. Perhaps the bigger mileage doesn’t suit me. Perhaps not, but in offering instructions to runners doing Advanced 2 Marathon, my toughest program, I usually suggest that these are the minimum miles, and if they feel they can handle even more miles, they can add them where they can, even doing double workouts on some or all days. Advanced 2 tops out around 55-60 miles a week. 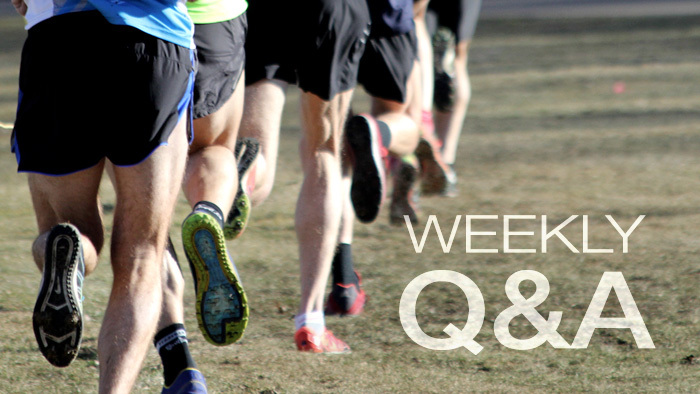 Add two or three 5-milers as double workouts, run a few more miles during warm-up and cool-down on speedwork days, and that will put you in the mileage zone where you want to be. Sneak up to this high-mileage peak gradually, so you don’t get injured again. Then hope for a perfect day. You need to know what you’re doing to succeed at this level. Given the time from now this fall to Rotterdam in the spring, consider following first a plan that focuses on endurance without much speedwork. Although it seems a step-down, my Intermediate 2 Marathon program features pure running, no fancy frills. You could use this as base training that might have as a side benefit lessened risk of injury during winter months when footing might be tricky. Shift to a speed-based program in the spring leading up to a return to Rotterdam. When you get down to 2:40, I would be the first to admit that maybe you need to move beyond my plans, but knowing what that “beyond” might mean is tricky and might require guidance from a hands-on coach to avoid another injury.